Pushing up the visor of your Goetz Steel Sallet, you shout commands to your soldiers, hoping to win the battle with your strategy and willpower. This handmade steel helmet will protect your head during the skirmishes to come. 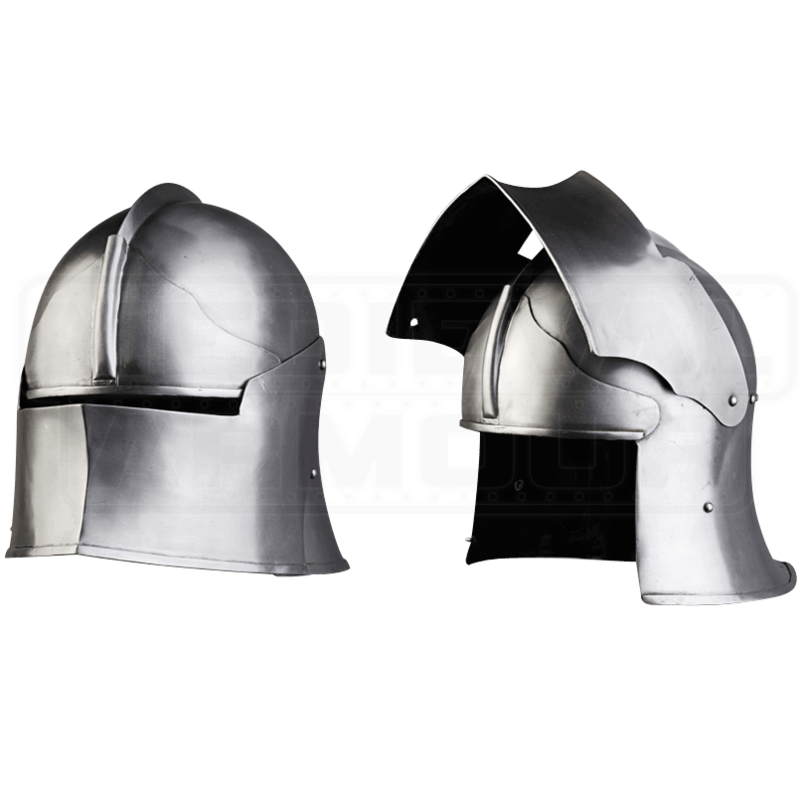 When its hinged visor is worn down, this versatile 15th century style helmet offers comprehensive coverage. Lift the visor up during lulls in the fighting for maximum visibility and ventilation. An extra plate of metal bolsters the forehead of this medieval helmet, and a short ridge along its rounded skull lends strength and style to its design. A slight rear flange extends over the back of the neck for added protection. Secure the helmet to your head using its adjustable leather chin strap, and wear it over a padded arming cap for best safety and comfort. An essential addition to any armoured look, the Goetz Steel Sallet is perfect for medieval and Renaissance-themed costumes and LARP use.